Would you make a good dentist? Take our career test to find out how you match with this and over 800 other careers. What is the workplace of a Dentist like? A dentist is a physician whose practice is in the field of dentistry. This involves the mouth, teeth, gums and related areas. Some studies have shown that diseases relating to the teeth and gums can be indicative or indicators of some health issues. The health of the mouth is essential to the general overall health of the body and a dentist will encourage and assist their patients in maintaining a healthy mouth by regular cleaning and check-ups. 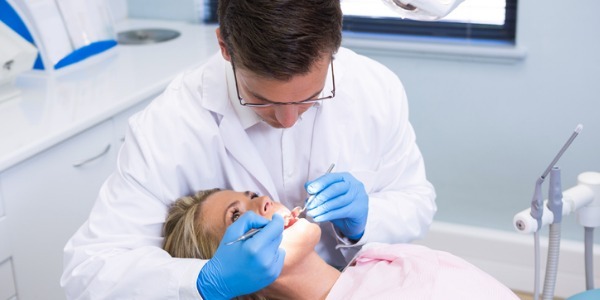 A dentist performs many important duties in the maintenance of oral health. Check-ups are a major part of the job and are important for patients keeping on top of their oral care. In addition to general check-ups, general dentistry involves basic treatments that can be done at a regular dental office. 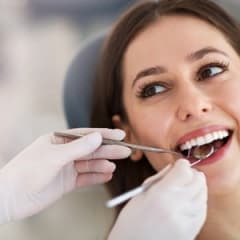 Such procedures might include filling a tooth, performing a minor surgical procedure such as a tooth extraction, and cleaning and polishing teeth. A dentist will encourage patients to practice good dental care by brushing and flossing and getting regular cleanings as these good habits can help prevent cavities and other tooth and gum diseases. Are you suited to be a dentist? Dentists have distinct personalities. They tend to be investigative individuals, which means they’re intellectual, introspective, and inquisitive. They are curious, methodical, rational, analytical, and logical. Some of them are also realistic, meaning they’re independent, stable, persistent, genuine, practical, and thrifty. Does this sound like you? Take our free career test to find out if becoming a dentist is right for you. The workplace tends to be a dental office or dental hospital and the environments tend to be typical clinical environments - clean and sterile and working with the same professionals every day. The variation will be in the patients and interaction with different people every day. As all towns and cities require dental offices, it should be possible for a dentist to find a workplace within easy commuting distance.